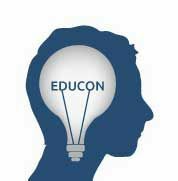 Educon 2018 offers an innovative arena where educators can come together, both in person and virtually, to discuss the future of schools, from the practical to the big dreams. The conversation/conference takes place January 26-28 2018 at The Science Leadership Academy in Philadelphia, PA. This year's theme is curiosity. Call for sessions is now open; submit a proposal for a conversation at http://educon.org/propose. Proposals are due Nov. 1st.